Venson Automotive Solutions has published a free Plug-In Vehicle Guide answering key questions asked by drivers about EVs, which they believe will aid fleets considering the move to plug-in cars and becoming greener fleets. Fleet managers looking to control their costs should turn to electric vehicles (EV) to deliver the savings they need, urges Venson Automotive Solutions, who has released a guide. The guide aims to dispel common misconception, such as plug-in hybrid vehicles offer poor fuel economy whereas driving style, road conditions and many other factors influence this, says Venson. For example, a Toyota Prius Plug-In entered in last year’s Fleet World-organised MPG Marathon returned 109.14 mpg over the 387-mile route. According to Venson, using the UK’s current average fuel price of £5.20 per gallon, that works out as just £14.63 to drive from the equivalent distance of London to Glasgow in the Prius Plug-In. 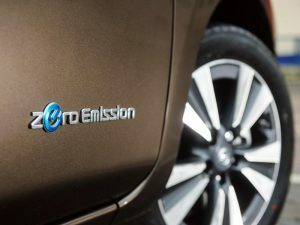 Venson state that company car purchases of electric vehicles have major benefit-in-kind tax savings, when compared to petrol and diesel vehicles, with employers making Class 1A National Insurance savings. First year and standard rate VED is £0 for battery EVs (if the car costs more than £40,000, VED is £310 a year in years two to six). PHEVs also benefit from savings versus non-electrified petrol and diesel cars, with capital allowance savings for employers in addition to the fuel savings previously highlighted. The Plug-in Van Grant offers 20% off the total cost of a vehicle up to a maximum of £8,000, while the Plug-in Car Grant offers £4,500 for a Category 1 model and £2,500 for Category 2 and 3 models.